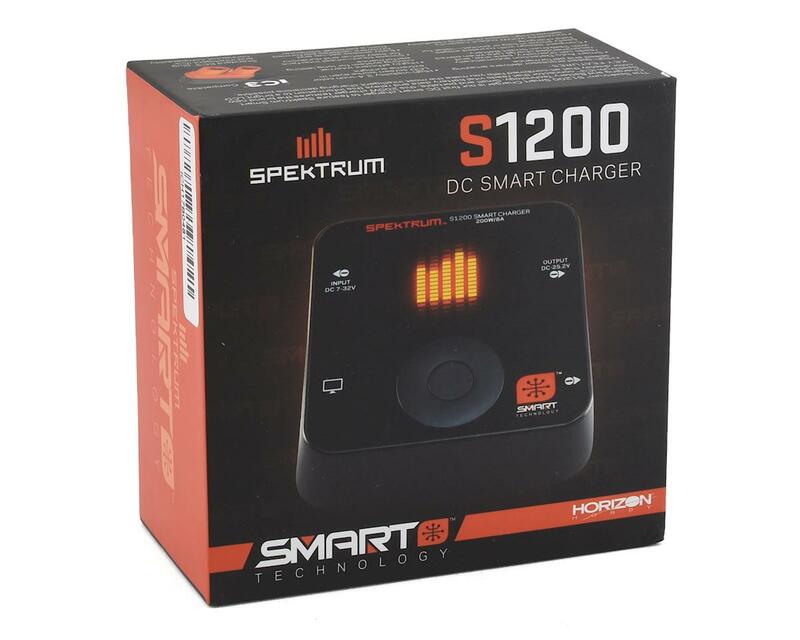 The Spektrum S1200 Smart Charger is the first DC smart charger to feature Spektrum Smart Charging technology. 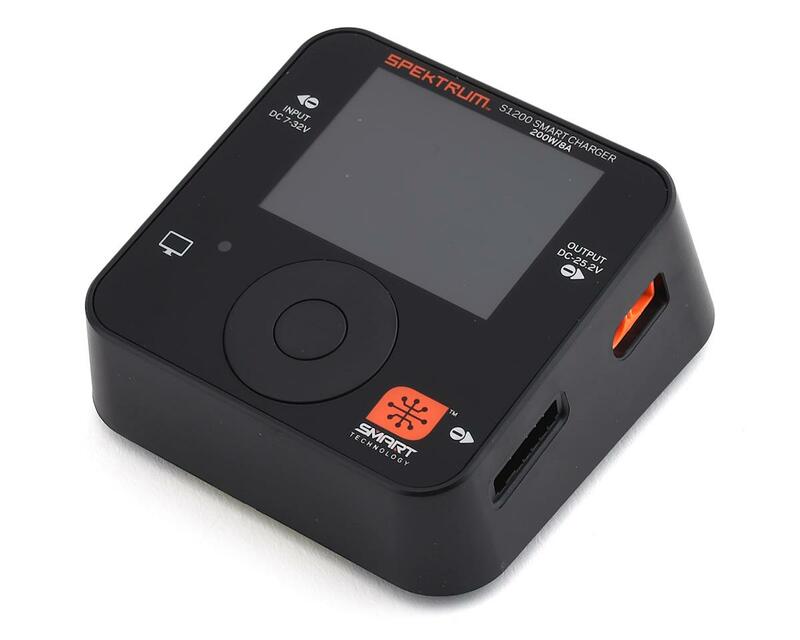 Small and portable, this 200W charger features the brand new Spektrum IC3 connector that delivers a robust connection that also reads vital battery content that relays to a bright LCD color display to clearly showing you how many charge cycles you have on the pack, and much more. 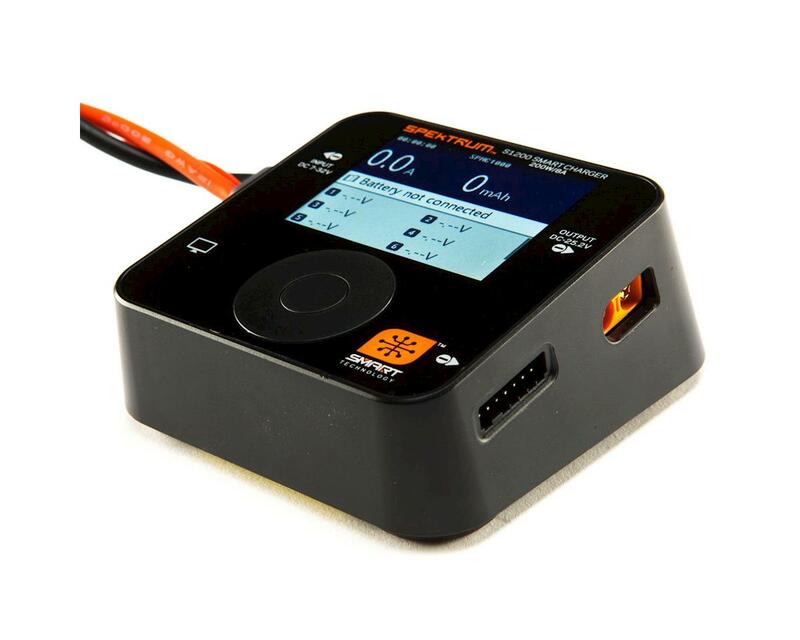 Smart Charging Technology: When connected to a Spektrum Smart Battery, unique parameters and health of your LiPo battery upload from the Smart memory microchip integrated into the battery. Through the charger, you can set and record preferred settings, such as charge rates and self-discharge options, so that all you have to do to charge the pack is press the “Start” button. Smart technology will take care of the rest. 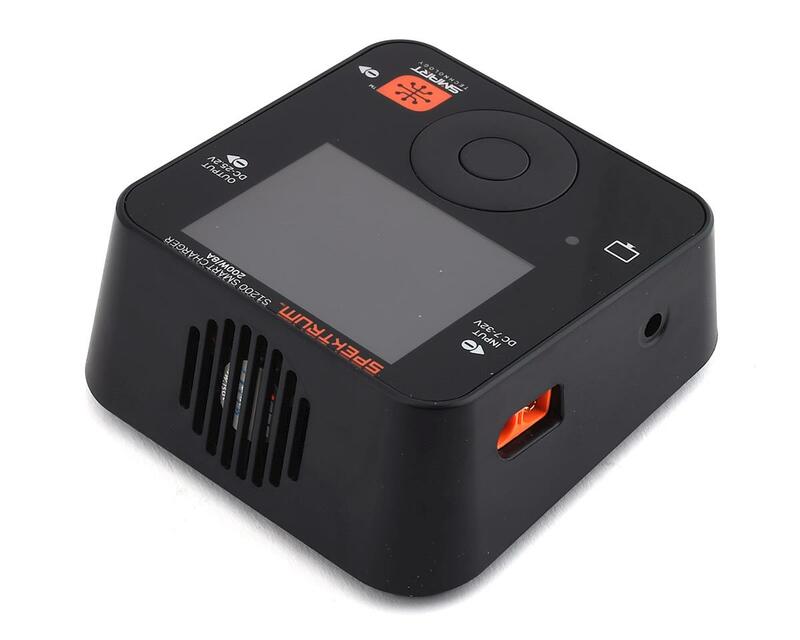 Every Smart LiPo charger is factory assembled with the next-generation IC3™ output connector that utilizes a data transfer pin to display saved battery information directly on the LCD screen. Updated IC3 & IC5 Connectors: The innovative Smart connection is made possible by an installed microchip on every battery, feeding the unique information through a data cable to the new IC3 and IC5 connectors. The IC series of connectors are designed from the ground up to provide a more solid connection, higher heat resistance, and effortless installation. 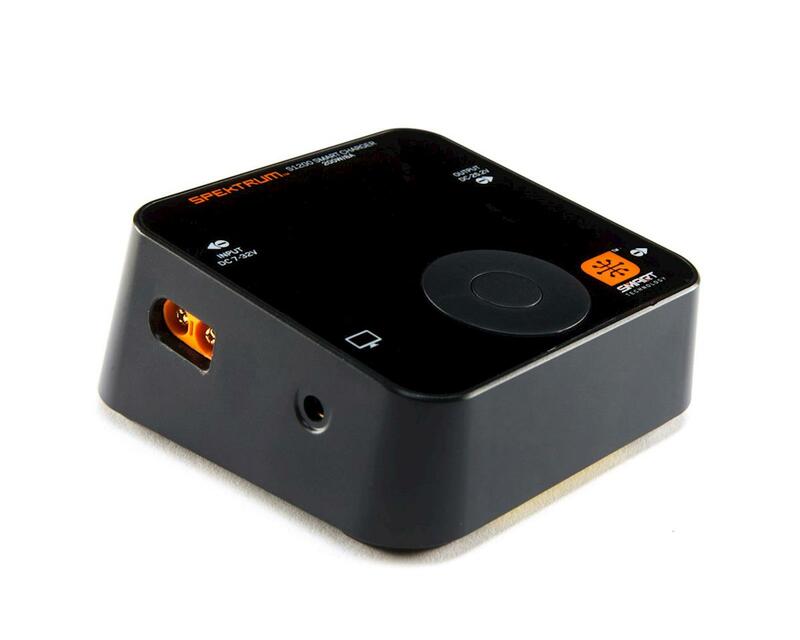 Sprung bullets ensure a solid connection that is easy to connect and disconnect, while the convenient solder pads allow for easy installation on your device. Backwards Compatible: For those using the popular EC3 and EC5 connectors, there’s no need to worry. The IC connector series is entirely backwards compatible with existing connectors so you can use your Smart Charger with older batteries, but only when connected to a Spektrum Smart Battery are all the benefits of Smart technology obvious. LED Display: High visibility 2.4 inch color screen brightly displays all your vital information, even in bright sunlight. High Powered: When paired with a capable power supply, enjoy 200W of output power that lets you quickly charge large and high cell count batteries with ease. Touch Wheel interface: A clean and intuitive touch wheel interface makes it easy to navigate all the settings on your Smart Charger. This clean and simple design keeps a sleek profile that if perfect for tossing in your field bag. 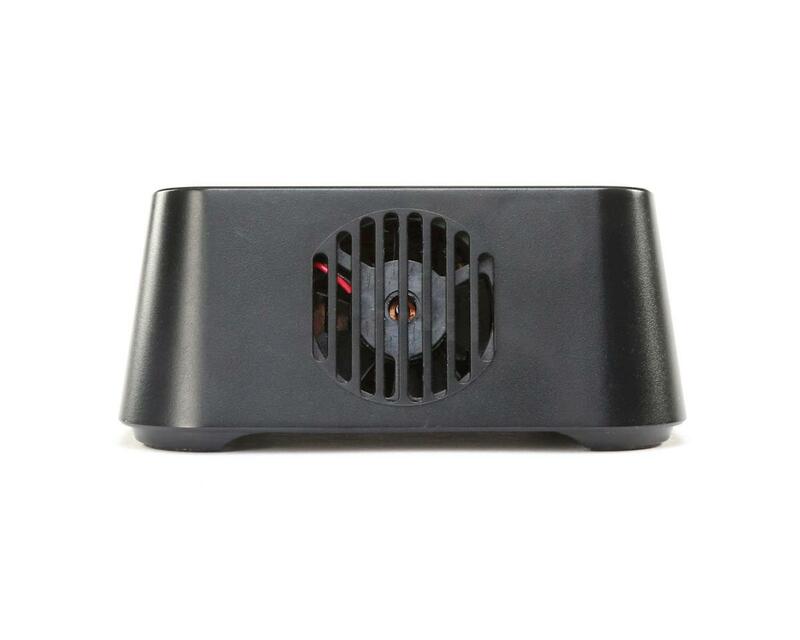 Efficient Cooling System: The internal cooling fan keeps the charger at a safe and efficient operating temperature, perfect for fast charging larger batteries. Built in Protection: When combined with Spektrum Smart Batteries, the charger automatically recognizes battery chemistry, cell voltage, and capacity to ensure that you are always charging with correct settings, virtually eliminating the potential for charging incorrectly.